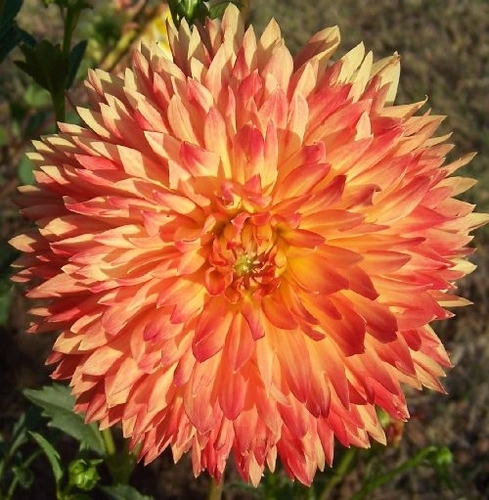 This is a beautiful dahlia with a blend of of dark orange with yellow. The tips are slightly lanciated with a fuzzy look. A long lasting cut flower.